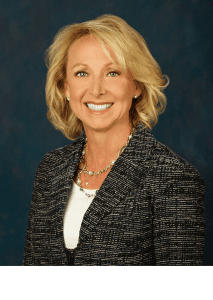 Ms. McAdam currently serves as Senior Vice President, Asset Management and Development for Silverstone Healthcare Company, LLC (SHC) and its affiliate, Silverstone Senior Living, LLC (Silverstone). Prior to joining Silverstone, Ms. McAdam served as Senior Vice President for Inland American Communities, responsible for development and operations for over 20 urban in-fill and mixed use multi-family communities throughout Texas, Georgia and Alabama. Additional responsibilities included development coordination, operations and training for 12 student housing communities in California, Florida, Philadelphia, and Arizona. Prior to joining Inland American Communities, Ms. McAdam served as Senior Area Vice President for Post Properties in Dallas, Texas for twelve years. While at Post Properties, Ms. McAdam was responsible for development coordination, lease-up operations and stabilized operations for 6,700 apartment homes in Texas, Colorado, and California. Ms. McAdam has a Bachelor’s degree from University of Texas – Dallas.